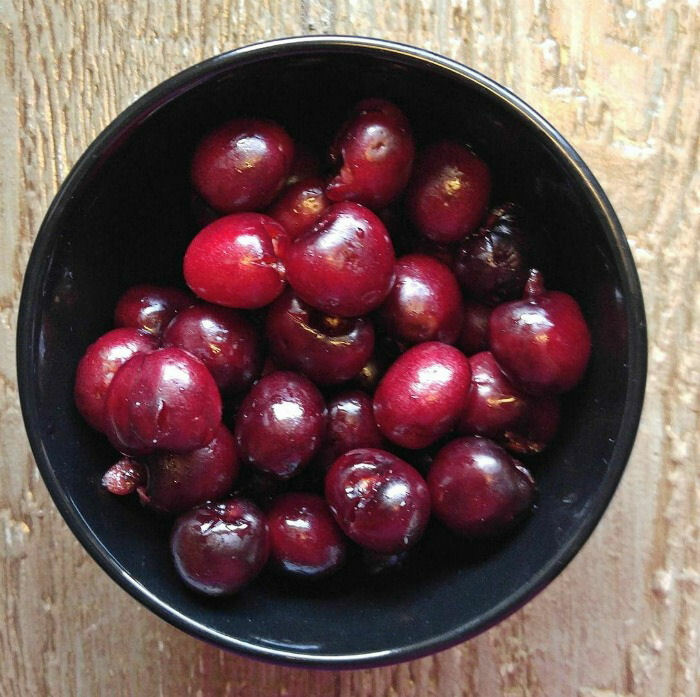 Pitting cherries is right up there with removing pits from mangoes and unripe peaches in those “pulling out your hair” kind of kitchen tasks. There are special cherry pitters available, but what do you do if you don’t have one? 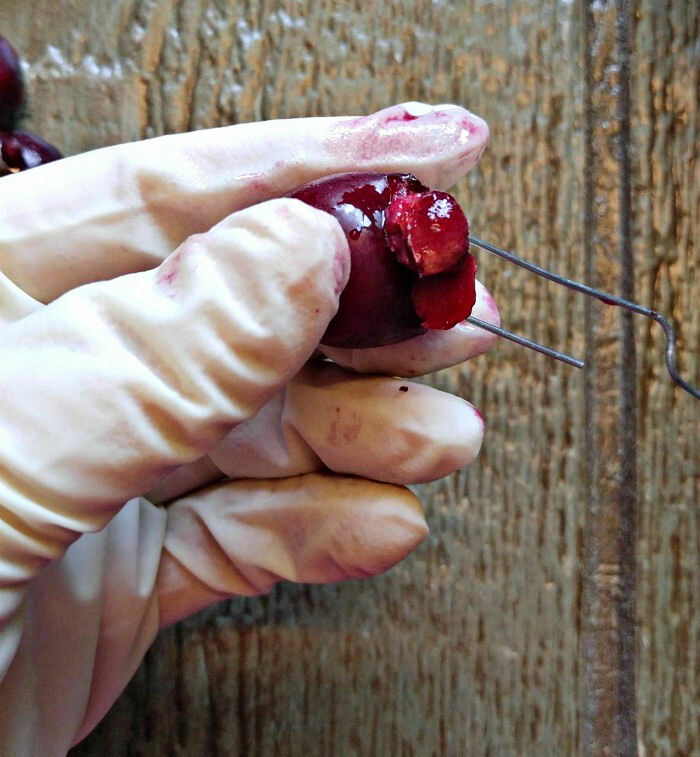 Never fear, you can pit cherries with a simple household tool with this kitchen tip. My husband came home with a big bag of cherries the other day (‘since they were on sale!”) We ate them in fruit salad for a while and then I decided to use up the rest of them in a cherry cobbler recipe. So I set about cutting them in half and trying to get the pits out of them, only to discover that it was going to take FOREVER and the unripe ones had no chance at all of releasing the darn pit! I had a look at cherry pitters online to discover that they look a bit like a large hole punch. So that made me think that poking something into the cherry might release the pit. And it does, IF you have very ripe cherries. Mine were a mixture, so I decided to try and figure out a twist method with a simple household tool – a large sturdy paper clip. And tada! This tutorial was born!! 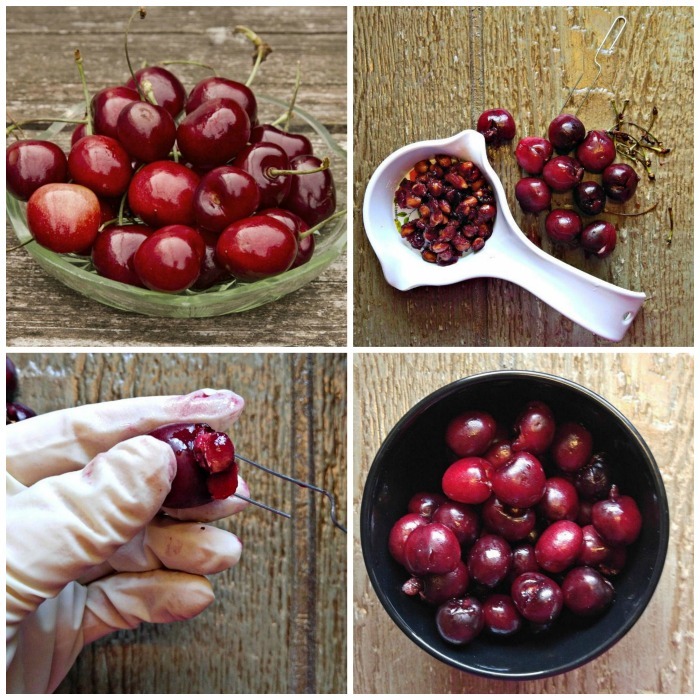 How to Pit Cherries without a Cherry Pitter. 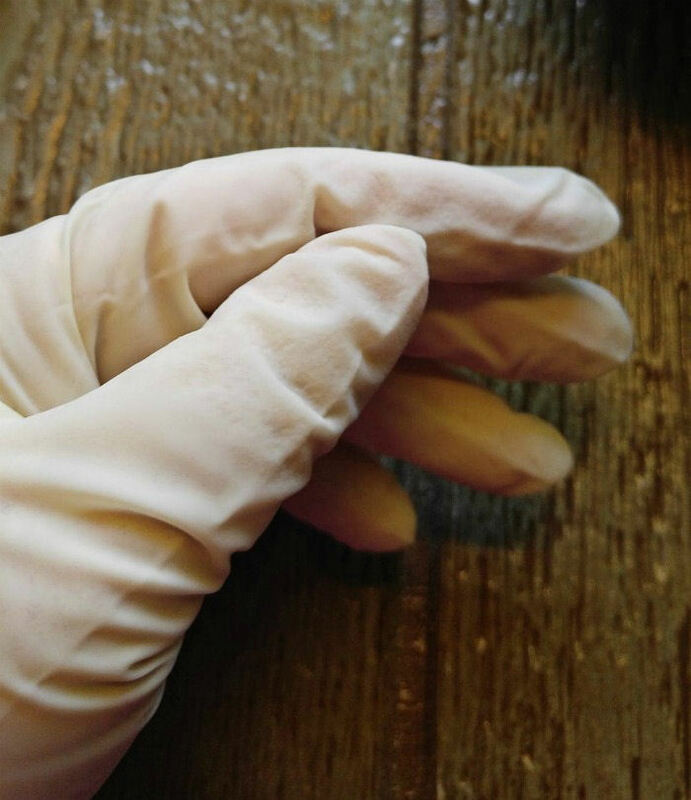 Use rubber gloves. I started pitting my cherries without them and it wasn’t long before my hands were bright red. So…on go the gloves! Use a large sized paper clip. The pit of a cherry is larger than you might think. You need a sturdy, larged sized paper clip to remove it easily. Start by opening up your paper clip so that the larger end of it can be used as a hook Remove the stems and hold the cherry in one hand. To pit cherries, insert the wide end of the paper clip hook into the area of the cherry where the stem was. Give the paper clip a twist and then pull out the pit. It takes a few tries to get quick at the process. 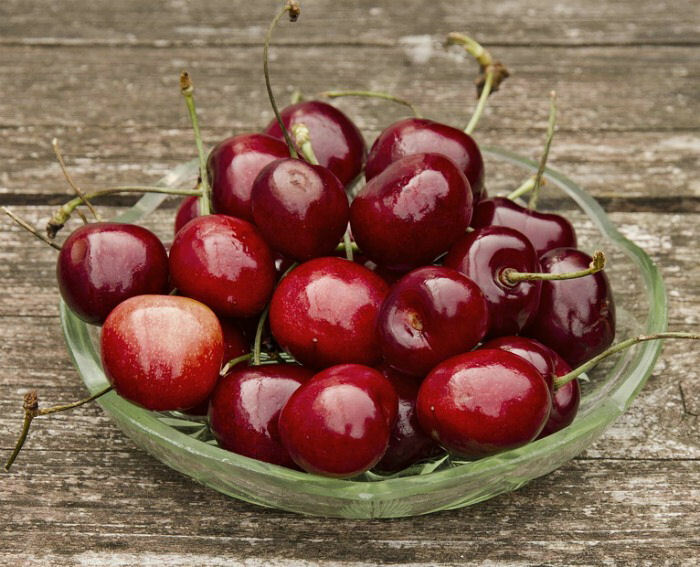 Ripe cherries will release their pits easily but for unripe ones, be sure that the twist goes all around the pit. Once you get the hang of it, the procedure goes quickly. I pitted this whole bowl of cherries in about 5 minutes. I love kitchen tips that same me time and money. Who needs a cherry pitter when you have a paper clip? And now, off to make my cherry crumble!